Indian Classical vocalist Manoj Govindraj sings 2 compositions based on Raag Megh, accompanied by Swarup Swaminathan on harmonium and Sai Shyam Mohan on tabla. Manoj found his calling in music early on in life. He began his formal training at the age of seven, though his initiation was even earlier when he was all of three, singing bhajans while on a pilgrimage to Shirdi. By the time he was eleven, he was learning Hindustani music professionally under the tutelage of Mrs. Vineeta Tembe. His mentors include Mr. Prabhakar Karekar and Mrs. and Mr. Prem. 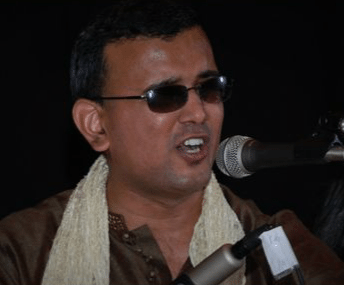 A rank-holder and a gold medalist from Mumbai University, Manoj completed his Master of Fine Arts in Hindustani Classical Vocal Music in 1999. He was the recipient of Pandit Bhimsen Joshi scholarship Hindustani music at post-graduate level in 1998-99. He has won several awards, the most prestigious one being the Sur Singar Samsad Award in 1995 for light vocal. Manoj has been teaching Hindustani classical and light music (vocal and harmonium) at the Academy of Indian Music, South Plainfield, New Jersey, since March 2004. His repertoire includes Hindustani classical (Khayal), semi-classical (Thumri, Dadra), bhajans, ghazals and old film songs in Hindi and Marathi. Manoj has conducted several lecture demonstrations on topics including “The Thaat Series” [conducted in 5 sessions, introducing Thaat System in Hindustani Music], “Music Appreciation”, “Introduction to “Hindustani Music” at Keane University, NJ, and other institutions. Recorded July 21st at WKCR studios. 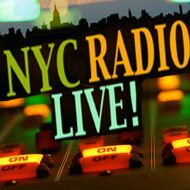 NYC Radio Live, Proudly powered by WordPress.